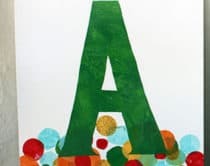 St. Patrick’s Day is fast approaching and this Irish holiday is one adults and kids can both celebrate together. 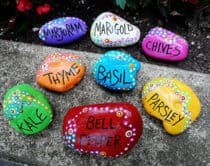 Who wouldn’t be thrilled to chase rainbows, scavenge for four leaf clovers, and watch out for leprechauns? 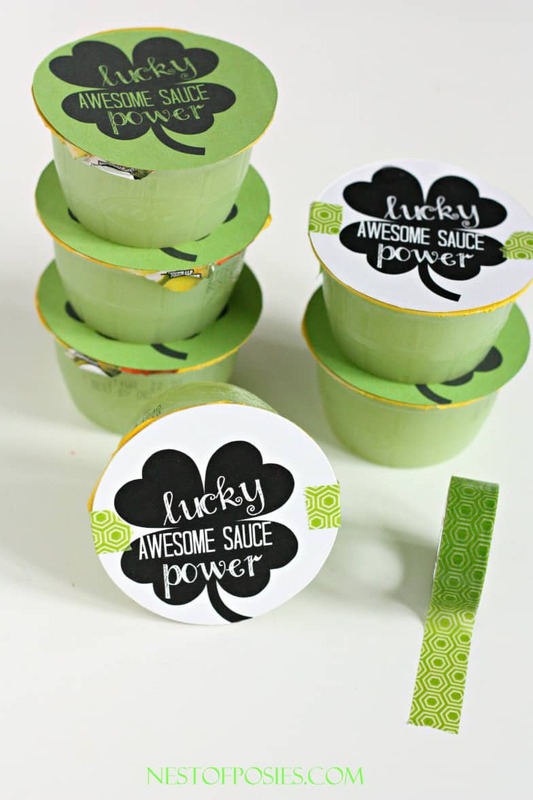 It’s a special day to make your kids feel extra lucky and one way to do it is by serving them some fun green foods! 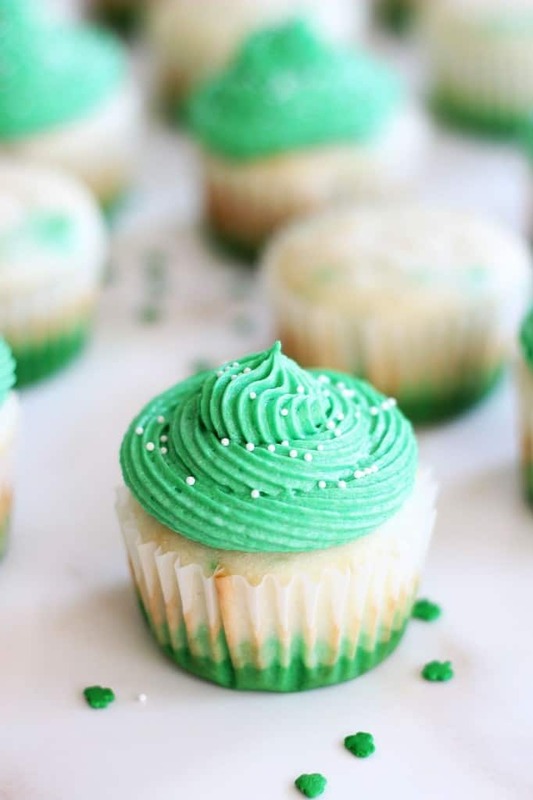 We’ve rounded up some magically delicious treats – from green fudge, shamrock shakes, cupcakes, pops and more, to celebrate this festive holiday. 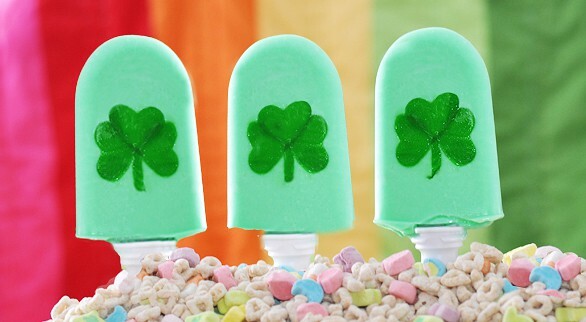 These pops are made from yogurt for a healthy frozen treat with a special shamrock cut out in the center. 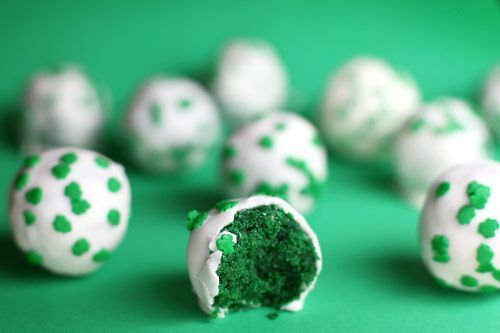 Put a twist on the popular red velvet cake by making “green velvet” cake balls. The perfect size for little hands to snack on. 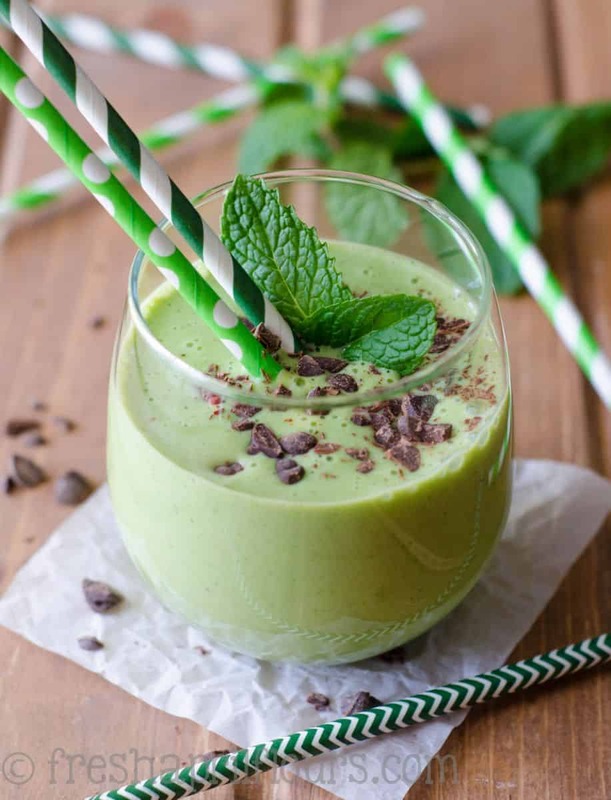 This refreshing green smoothie’s nothing like the Mickey D’s version and is packed with nutritious ingredients like spinach and bananas. 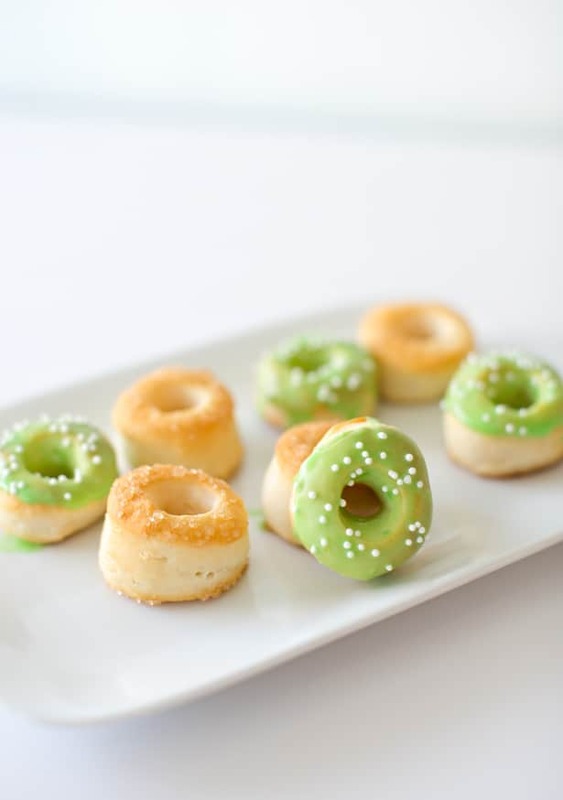 Dipped in green icing, these mini donuts make fun St. Paddy’s Day treats and are made from just one ingredient! 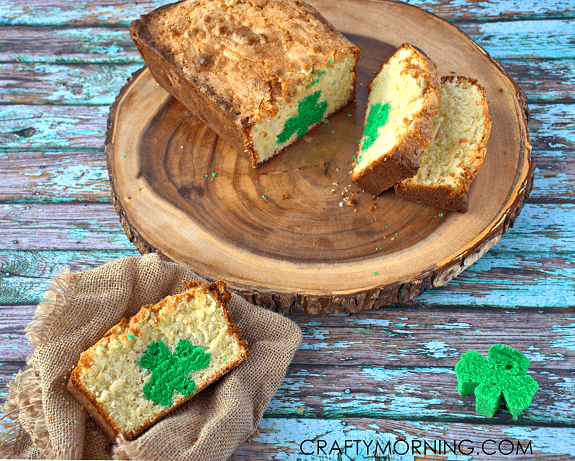 See how to sneak in this peekaboo shamrock into yummy pound cake slices that will delight the kiddos. 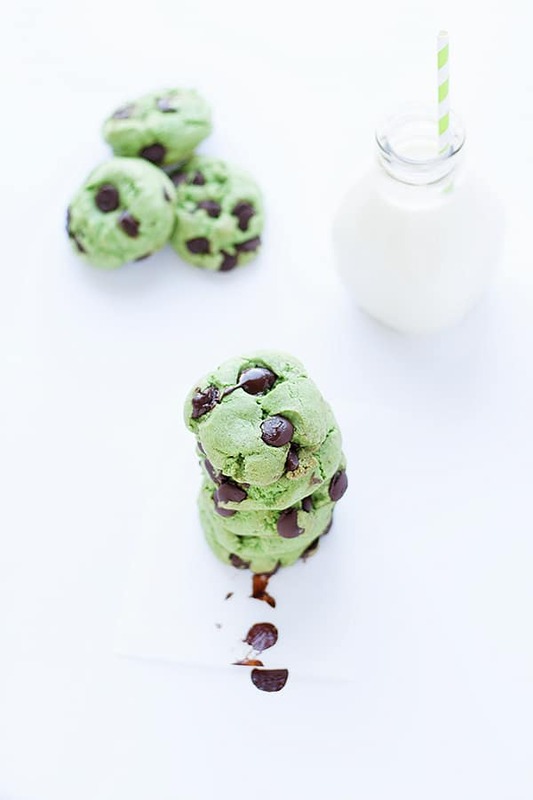 Mint and chocolate go together like peanut butter and jelly. 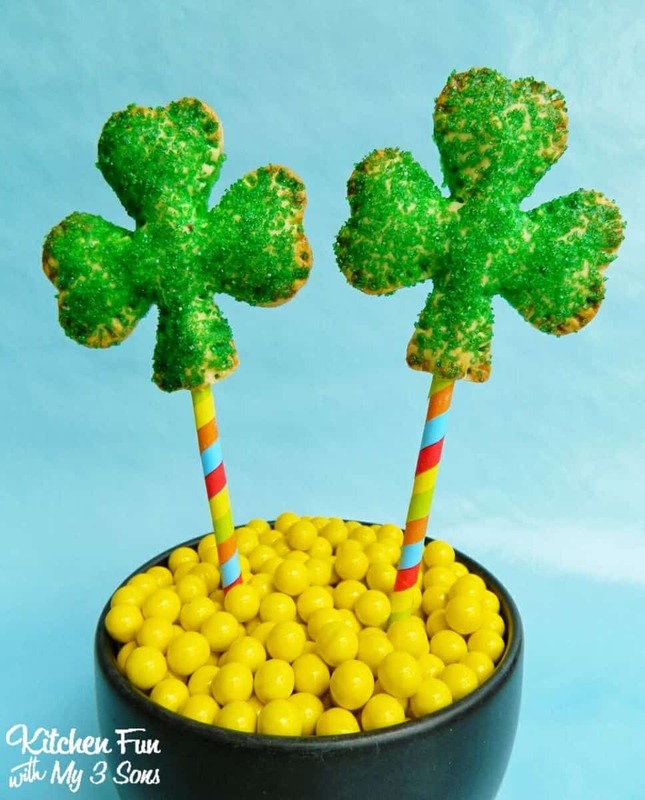 Find out how to make these extra thick and chewy cookies that go perfectly with your St. Patrick’s Day celebration. 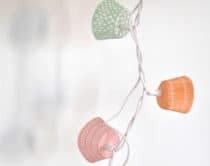 These three tone cupcakes have a fun ombre look to them that make them extra fun to bite into. 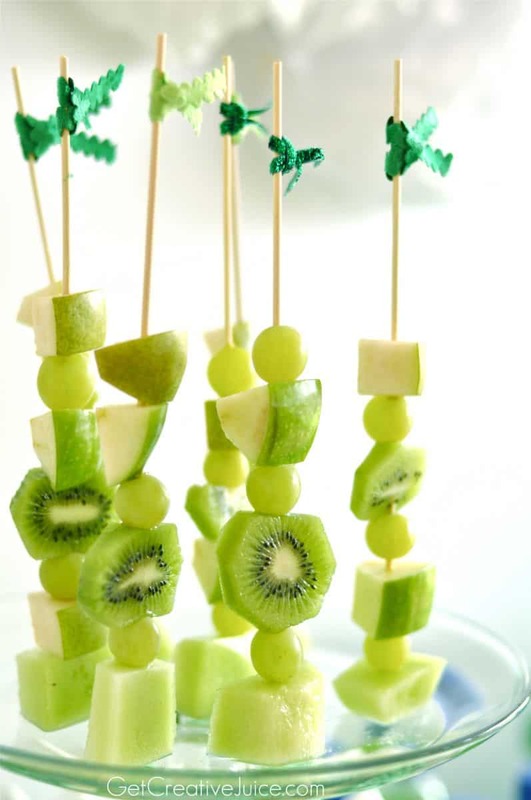 Serve up these healthy green fruit skewers for St. Paddy’s Day for a fun treat without all the extra sugar. 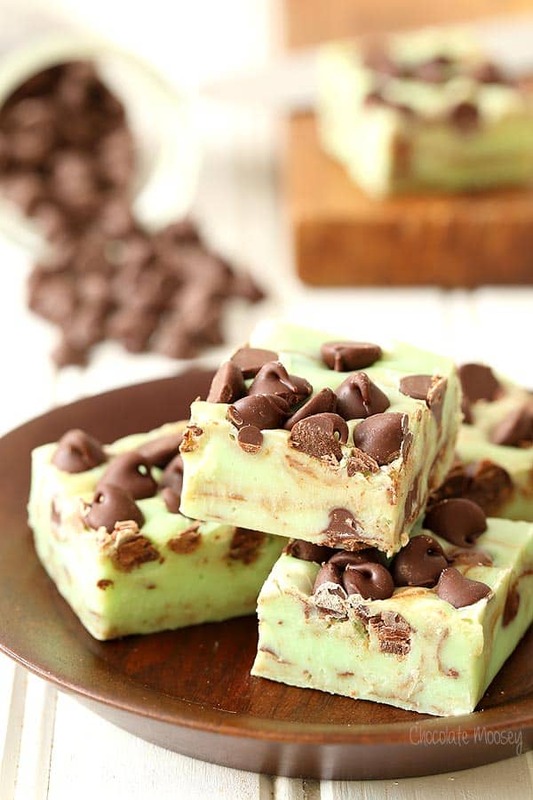 Five ingredients is all it takes to whip up this easy minty fudge for a festive green dessert. 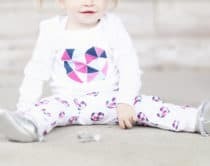 These sparkly shamrock pops are fun for kids to help make in the kitchen, and are stuffed with a yummy key lime filling. 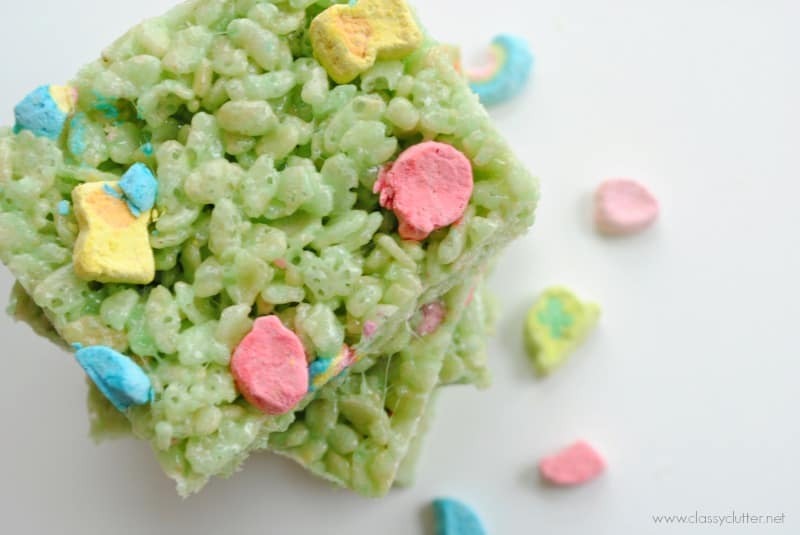 Turn an iconic kid’s dessert into one lucky treat with these green Rice Krispy bars. 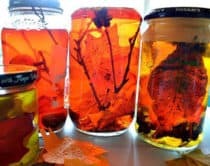 No time to bake or make something sweet? 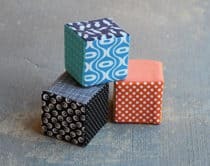 Tuck these easy fruit snacks into your kid’s lunchbox to wish them luck for the day. 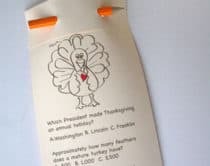 Free printable included. 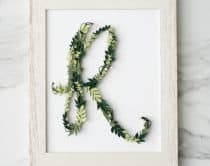 Take a look at more St. Patrick’s Day fun, crafts and recipes here!